Lies and emotion have beaten science, according to Dutch fishermen’s federations, adamant that eNGOs have deceived MEPs into ending a method of fishing the Dutch industry says delivers less by-catch, lower fuel consumption and reduced seabed contact. The trilogue of the European Commission, European Council and European Parliament has reached an uneasy compromise that allows 42 pulse trawl licences to remain active until 2021, while 42 will be withdrawn this year. Research into pulse fishing can be continued after 2021 by six vessels. 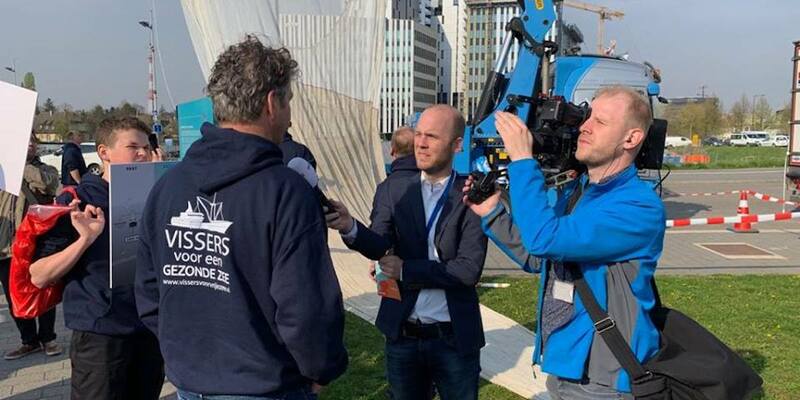 The reaction from the Dutch industry has been immediate and furious, as fishermen’s leaders compare the decision to scrapping solar panels and going back to burning coal. According to VisNed, de Nederlandse Vissersbond and EMK, pulse fishing has been shown to be the solution to many of the current issues, but evidence has been ignored by eNGOs and politicians. In a last-ditch attempt to save pulse fishing, last year the federations wrote to Dutch Prime Minister Mark Rutte, calling on him to initiate a conversation with French President Macron and Commission President Juncker. More than 250 pulse fishermen and interested parties attended the Dutch House of Representatives to ask Prime Minister Rutte to pay attention during the weekly question time ahead of the impending ban on pulse fishing. There has been no reaction to the letter, and the Prime Minister was also absent from the House of Representatives – to the disappointment of the Dutch fishing sector. Deputy Prime Minister and Minister of Agriculture, Nature and Food Quality Carola Schouten commented that he supports the fishermen and will continue to fight for the future of Dutch fisheries, pledging to argue for a transitional period and funds to support innovation. ‘A transition period is only a sticking-plaster solution. The financial damage to the entire sector could amount to €200 million,’ the federations state. The pulsvissers fish in a not painful, animal-friendly way on different types of maatse demersal fish and what does mark... this leader of former autonomous Netherlands leaves himself by the EU under the leadership of the Frenchman macron in a painful, non-humanitarian way to the fish hook Hit it. That Fish Hook hurts mark to his upper lip, but eu pain is probably fine and macron does the Dutch climate friendly fishing pulsvisser really hurt. Because the chance that two political parties, who want the Netherlands to remain an autonomous country, will have more seats in the first room after 20 March than now, is not small. The majority of the coalition of four parties that increasingly extradite the Netherlands to Brussels and strasbourg is then happy. That's a good thing, too. The Next Dutch company that is in turn to be given all the way to France is the KLM. It is the klm or the pulsvisserij, Mark says not to be wise about both issues being transparent. However, not transparent mark also says: ' the council of ministers had long spoken about the announced ban on the pulsvisserij. We are disappointed in the Brussels pulskorbesluit. We have tried to get the best possible outcome for the dutch fishermen until the end." On questions about the possible inadequate commitment of government, mark replied that the cabinet has tried to lead the lobby to maintain this innovative method of fishing in as best jobs as possible. That 'in good jobs', the council of ministers also applies to the problems of air France-KLM where it is arguing about a new course and the position of the Dutch Prime Minister Pieter Elbers. Mark really says, " I'm worried about action, because for that I get paid well and I'm hired and I'm working on it." In one sentence mark says four times I... it is indeed about me and that I am mark and the own I is the characteristic of a hubris figure. Hubris means: excessive pride, pride, hubris, delusions of grandeur, insolence, insolence, especially against its own fishermen, its own companies and... precisely submission to the EU leaders. From Mark and other eu loving politicians, we as real Dutch... fishermen and klm do not have to expect much. They do a lot to not put their own career in trouble. Tricky water... where they'll bring pulsvissers and klm. That Innovative Farmer Automates His company and can drive the whole farm with his cell phone in hand, his clothes stay clean. The cows also sail and walk to the milking machine or to the spinning brush that wipe their rear. Feed is argued and the feces cleaned up by a big robot. Wonderful to see how that goes. I know who I'm going to vote on on March 20th. 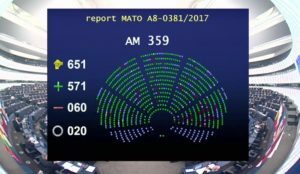 The end of pulse fishing came yesterday with a vote in the European Parliament in Strasbourg in which MEPs voted through a raft of measures, including the decision to outlaw electrical fishing in European waters. The decision hardly comes as a surprise, although the Dutch federations and industry had fought a rearguard action against an outright ban on the method they have steadfastly championed as being far more environmentally friendly than any of the alternatives available to them. MEPs Peter van Dalen, Annie Schreijer-Pierik and Jan Huitema made an unsuccessful last-ditch attempt to sway the Parliament into making pulse fishing subject to a separate vote, but this was rejected and the new technical measures regulation was voted through by 571 votes to 60 against and 20 abstentions. 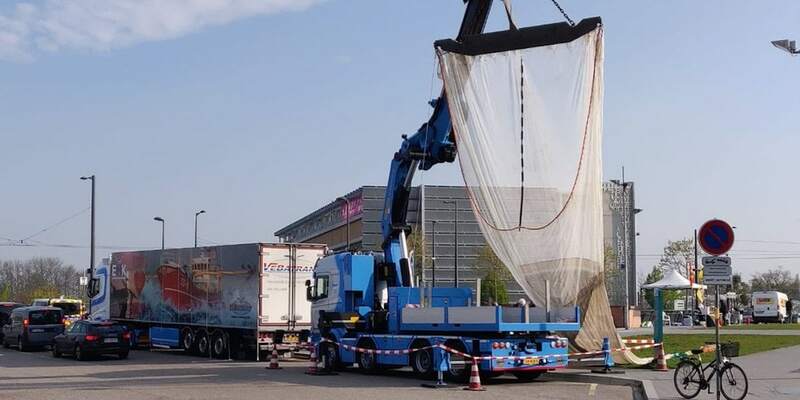 ‘This innovative Dutch method, which has been proven to be better for the environment, has been thrown in the bin together with decades of research and innovation,’ de Nederlandse Vissersbond stated following the decision. Now only 5% of any EU member state’s fleet can continue pulse fishing up to 1st July 2021, after which this method will be fully outlawed. The Dutch fleet’s current 84 pulse exemptions will expire shortly and fishermen using this method can expect to hear from the Ministry of Agriculture, Nature and Food Quality in the next few days about the exact period of their exemption. According to Dutch federations de Nederlandse Vissersbond and VisNed, the pulse ban has triggered a deep-seated lack of confidence in the system behind making European policy, as the opinion is that Europe has been misled by French-based NGO Bloom. ‘This has taken place in spite of the positive results of scientific research and the fact that research programmes have not even been completed,’ VisNed’s spokesman said. There is no doubt that ending pulse fishing will mean a return to less efficient fishing gears and the higher fuel consumption that goes with them. The federations’ opinion is that this entails not only a heavy financial blow for the fishing operators, but will inevitably have knock-on effects for the sector as a whole, including the fish trade, the processing sector, the fishing schools and coastal communities. Despite encouragement to continue innovation, the Dutch industry is reeling from the blow. ‘The sector is being encouraged by the Dutch government to innovate and €15 million have been made available from a national innovation fund. But this call to innovate hits the rocks on the fact that a solution to the problem has already been found,’ the federations state. VisNed and de Nederlandse Vissersbond also point out that during the process of sacrificing pulse fishing, the environmental organisations that had been encouraging during the development phase managed to maintain a deafening silence. ‘This is a knife in the back, as far as many fishermen are concerned,’ according to the Dutch fishermen’s federations. A #ZwarteDinsdag (#BlackTuesday) hashtag has begun to make an appearance following last week’s vote in the European Parliament to include a ban on pulse fishing with the new Technical Measures Regulation, signifying the day a body blow was dealt to the Dutch demersal sector that could have far-reaching implications. According to Job Schot of EMK, the decision is incomprehensible, and eighty mostly family companies that had invested in this method of fishing have been left out in the cold. ‘The survival of many companies is in question,’ he said. ‘Families may soon have to sell vessels and fishing rights, with all the consequences that are part of this. If we are not careful, there could be a wholesale transfer of capacity to the larger companies in the trawler sector,’ he warned. 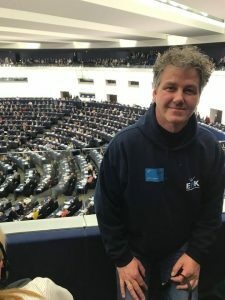 He commented that there are indications that the EU has plans for the fishing sector, including proposals that towed gears could be banned from areas where there is coral, of which there are a few in the North Sea. ‘My jaw dropped when I saw the proposal,’ he said. ‘Right now it seems harmless, but fishermen know better. NGOs drop junk into the sea with free postcode lottery money Today you have to keep half a nautical mile away. Tomorrow a mile, and then it’ll be entire surrounding areas that are closed. We have no idea how many reserves are coming. We are already kept out of wind farm areas, and there a hundred of these on the way. Pulse fishermen are being forced to go back to their old gear, and then that could also be outlawed. Measures like this would be a death knell for the Dutch and Belgian fishing sectors,’ he said. He commented that experience has taught fishermen to be extremely cautious, as in the case of the Landings Obligation, under which none of the promises made have come true and since then there has been a vote in favour of stricter supervision. ‘That means CCTV, camera surveillance on board,’ he said. He said that fishing needs to move on from fighting a constant rearguard action.